Eurotech have decades of in depth experience upon enterprise tape formats and libraries. We understand the key differentiators between the main library vendors and what is the best option for you today. Our current activity centres around IBM & SpectraLogic, although we have experience from all the vendors including many legacy libraries. 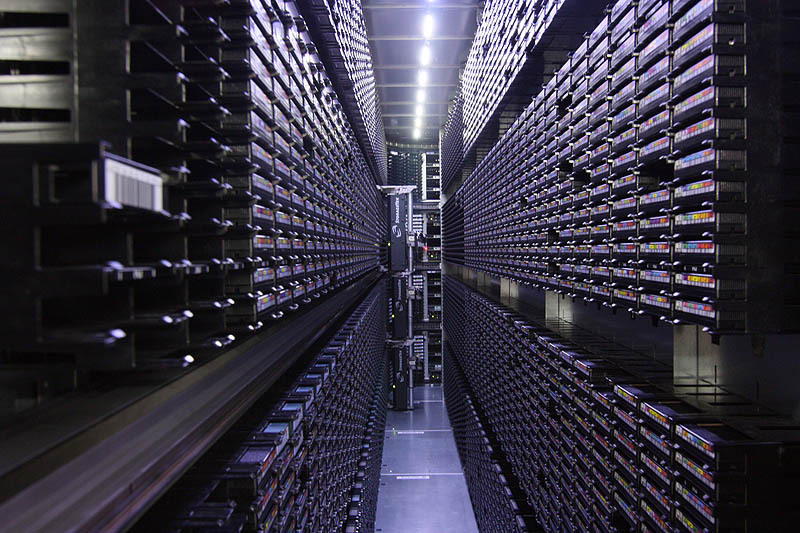 The largest scalable floor standing IBM library is the TS3500. The TS3500 can accept both the Magstar 3592 and LTO drive formats. Eurotech sold and integrated the first IBM HD frame and shuttle TS3500 in Europe. Another quality library from IBM that suits the most modest budget is the TS3200. The TS3200 accepts LTO drive formats. SpectraLogic are another high quality vendor with features such as their BlueScale Interface which includes Media Lifecycle Management. The high end SpectraLogic libraries are the T-Finity for massively scalable libraries and the T950. Eurotech integrate these libraries into niche vertical markets such as oil & gas where they form part of a vast seismic data management solution, or into new fast growing environments that suit current demands such as archive. LTFS is a relatively new tape architecture we discuss in more details within our website. LTFS is opening up whole new archive solutions to the market when combined with vendors such as IBM and SpectraLogic create industry leading solutions.